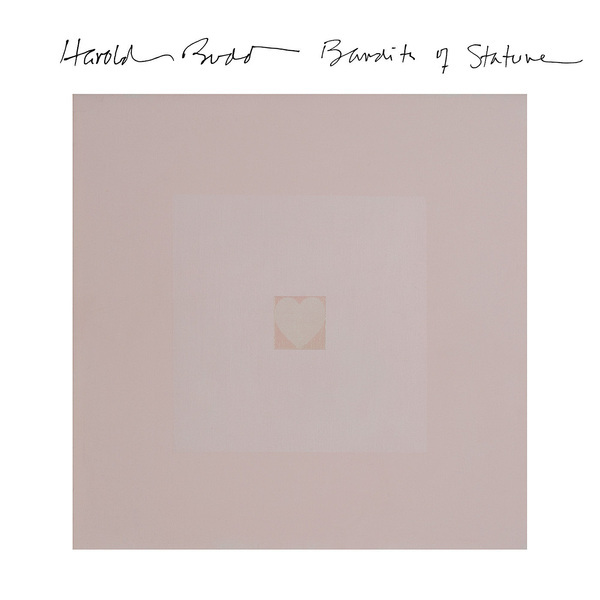 **Deeply sombre, heavy-hearted and cinematic works for string quartet composed by the peerless Harold Budd** "Harold Budd is a one-of-a-kind, modern neo-classical artist with a career spanning 40 years. Bandits of Stature has the characteristic Budd minimalism one may expect, yet in new, or classical, form. On Bandits of Stature, he has created 14 elegantly simple, avant-garde string quartets, each with his own unique and subtle tension and abstraction and sometimes-pastoral but as-often otherworldly mood shining through. This is also Budd's most melancholic work ever. It is a work that can only come from an artist with such unique vision and maturity as he. Whether deep dark or bright light, the listener is as always transcended to an enlightened state within the balance of empty space and substance, presented at times with wistful nostalgia, often with great idealism and persistently with love and beauty. From the classic Brian Eno and Robin Guthrie-produced Harold Budd records, lush with studio-as-instrument creativity and singular ethereal guitar work respectively, up to his most recent album In The Mist, Harold's piano is always recognizable within the first three notes of any song. His style is just that unique. That same melancholic, thoughtful style is present as well in the Budd composed string quartets on Bandits of Stature. He effortlessly manifests more feeling in one album than most artists do over the course of a decade, gives at least as much attention to the negative space as to each phrase and as always exercises a sense of economy in which less is a great deal more."